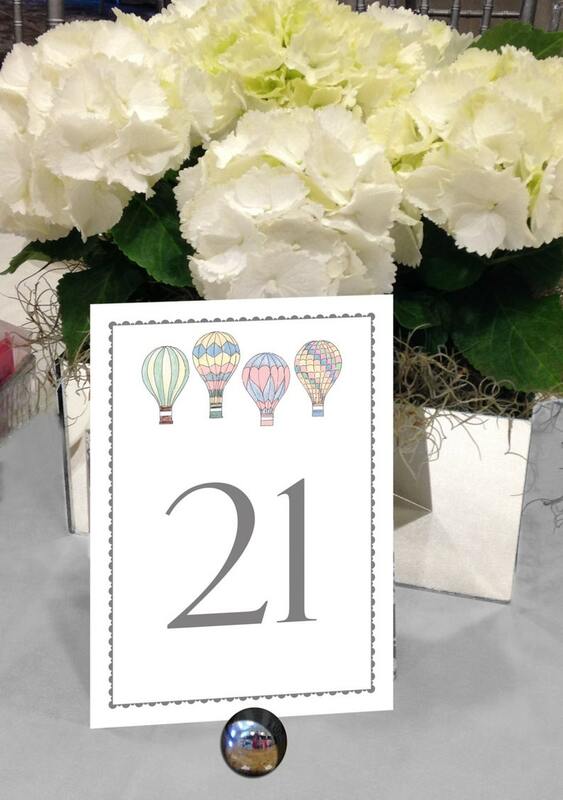 Add a whimsical touch to your special day with these Hot Air Balloon Table Numbers. Great for the DIY bride or party planner looking for stylish wedding decor! ▶ Colors: The border and numbers are Gray ink. With this design you can change only the number and border colors. Purchase our Table Number Color Change listing https://www.etsy.com/listing/236429260/color-change-for-table-numbers? and pick your color from our color chart shown above. 2 table cards per 8.5" x 11" page that can be cut to 4" x 6", 5" x 7" or half sheet 5.5" x 8.5"